Can someone draw my dragon? This is Caechi. 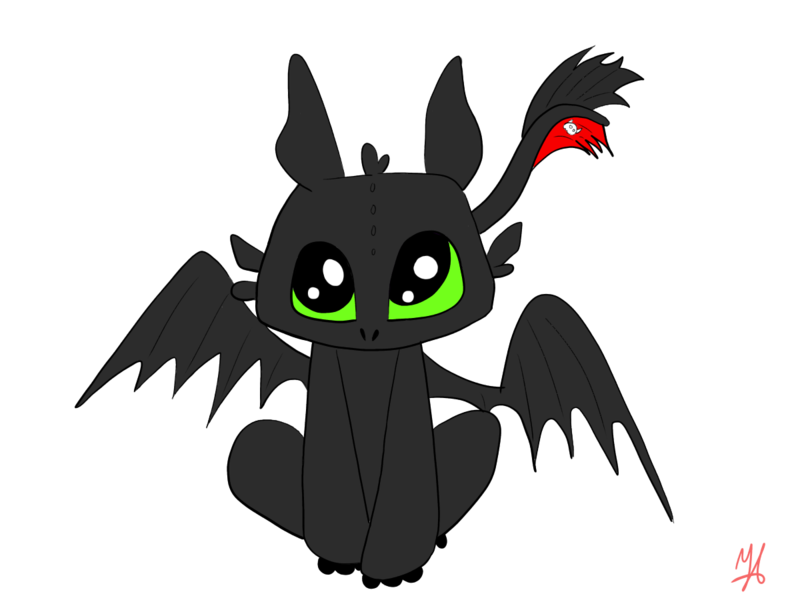 He's just a black male Night Fury with bright green eyes. I was wondering if someone can draw him. 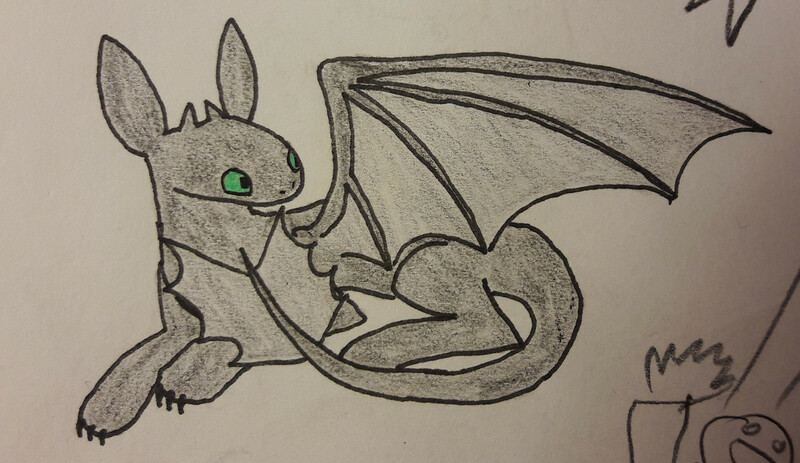 He's usually quite reserved, preferring to keep to himself, hang out with Hiccup and Toothless, or his brother. Media and pose are up to you. If you want me to removing the fake tail Tootheless has, just tell me. Hopefully the pic shows. Hopefully it shows up now. Hopefully it shows up now. Let me now if you need changes to be made. And, of course, I had to forget the side frills. Well, I wouldn't be myself if I didn't mistake or forget sth... Also I'm sorry for these sketches around the drawing. I tought I'd already taken the photo, but no! 'Course you can edit the pic so they won't be visible. Hope you like it anyways. Please, tell if you want anything changed. There are currently 27 users and 146 guests online.